Recent review: Professional, experienced & great personality. Its an 18th for a high schooler, so mainly young teens can be bad listeners. 13th birthday party at Pacific Design Center in Los Angeles. I need two security guards. While the drunk and disorderly may be amusing to some people, they really put a damper on a nice elegant event. You may want someone equipped to deal with it if things get out of hand. Or if you are putting on a concert and that Tim McGraw impersonator looks so much like the real deal you are scared those women may rush the stage. Position a couple of tough looking guys at the front of the stage to keep the ladies in check. Safety first, so hire event security services to keep the fist fights at a minimum. 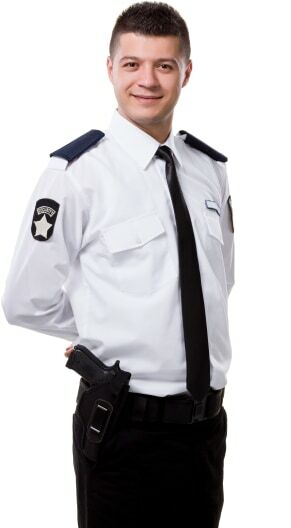 Search for Event Security Services in Los Angeles, California above. Please note that these Event Security Services may also travel to Vernon, Maywood, Commerce, South Pasadena, Ladera Heights, Universal City, San Marino, Century City, Studio City, Toluca Lake, North Hollywood, Verdugo City, Montrose, La Canada Flintridge, Altadena, Temple City, South El Monte, West Los Angeles, Santa Fe Springs, Playa Vista, Del Aire, Valley Village, La Crescenta, Playa Del Rey, Lawndale, Marina Del Rey, El Segundo, Venice, Sierra Madre, and North Long Beach.